Episode date, December 1st, 2016: The first half features an interview with photographer Kirk Edwards and his wife Siobhán Edwards, who collaborated on "The Hula Project." 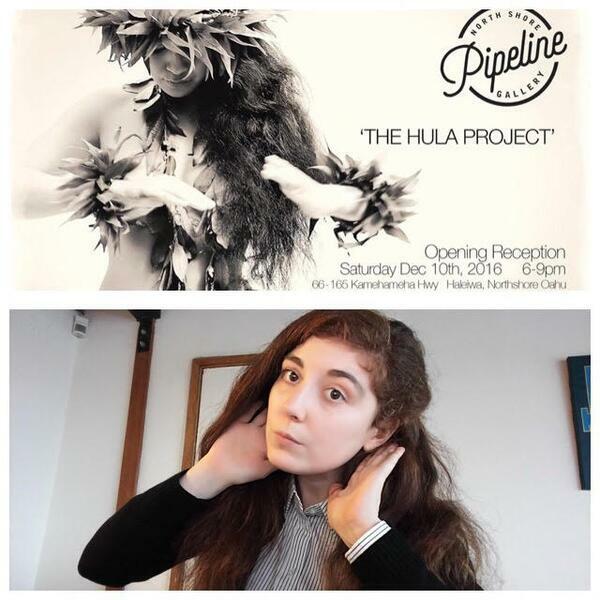 The black & white photo art exhibition explores the ancient dance of the Hawaiian islands, and the opening reception was December 10th at Pipeline Gallery on Oahu's north shore. The second half features an interview with poet Alexandra Naughton, who reads excerpts from her debut novel "American Mary." Alexandra journeyed to the heart of Williamsburg, Brooklyn to discuss writing, performing, finding inspiration, and the rising cost of living in her current home of Oakland, California.